Dressing up and making costumes is lots of fun. 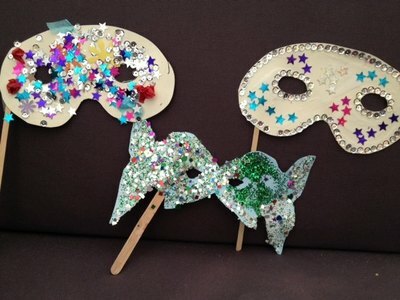 These masquerade masks can be done simply or with more creative flair. 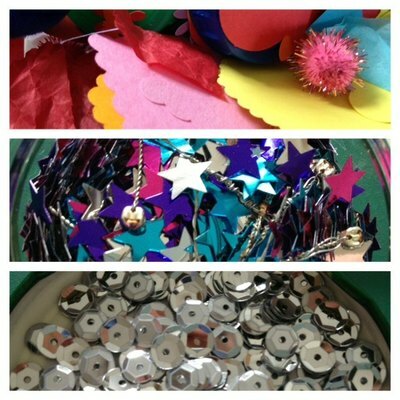 This also means it's a good activity to do if you have a group of children of different ages. 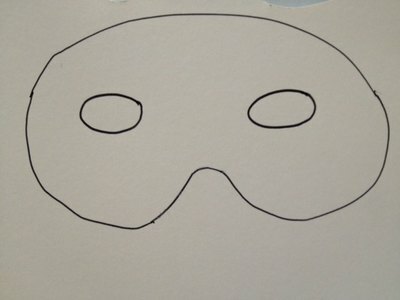 Draw a simple mask outline on a piece of card. If you're not confident at free hand drawing then do a quick google search and you'll find lots of templates online. 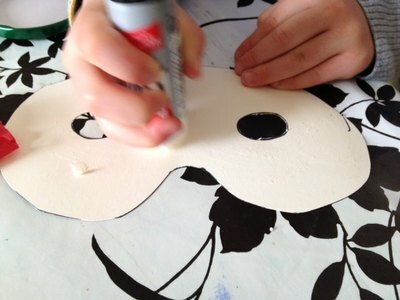 Cut out the mask shape and two holes to see through. There are lots of ways to decorate. Painting, crayons or felt tips would be one way. 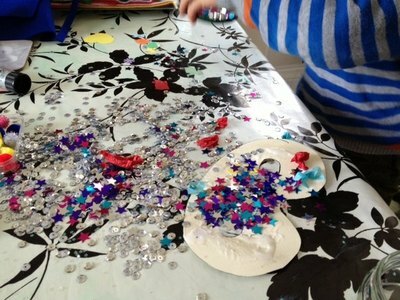 My son was keen to get the glue out so we chose sequins, glittery stars and scraps of tissue paper and coloured paper. Once the design is finished, let it dry. 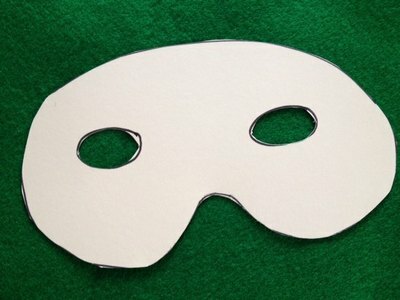 Glue or tape a stick to the back so the mask can be held up in front of the face. If you're looking for more inspiration, have a look at these other mask crafts. Perfect for a Mardi Gras party.